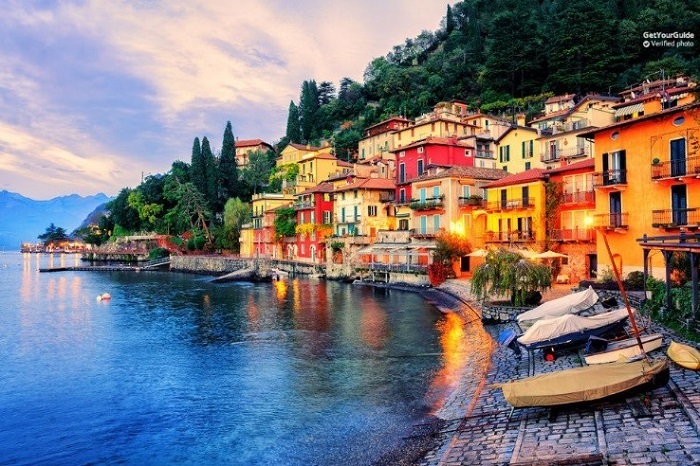 Lake Como or Lago Di Como is one of the deepest lakes in Europe and the most attractive lake in Italy. Surrounded by mountains, that natural beauty takes your breath and giving a harmony to your emotions. When your there, you can just close your eyes and feel the soul of the gorgeous landscapes. Even in the ancient Roman times, most of the couples escape the city just to take a day breath of the hilarious mountains. Beside the grandiosity of the nature of Como, one of the main reason to visit Como and book Lake Como tours is the delicious food. You can taste a real Italian cuisine where you can find pizza, pasta and some kind of famous cheese. You can also enjoy the historical monuments that make this place more than a rich with heritage. The perfect climate with temperatures not higher than 24 C degrees would also make your trip more enjoyable. Being close to Milan, you can book a Milan to Lake Como day tours, and check the beauty of the lake while enjoying the cultural hedonism of Milan. During the tour, you will visit the best historical monuments that offer you the Lake Como. 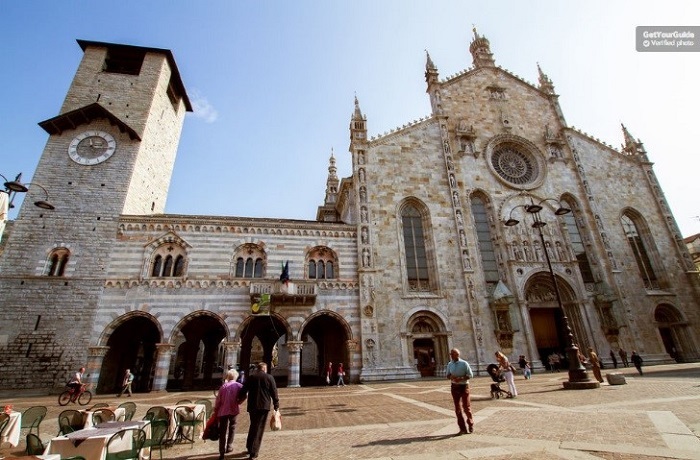 The beauty of the Gothic cathedral, amazing Palace of Broletto and Piazza Verdi with the elegant theatre. The incredible gardens and statuary are the main reason to visit Como. Villa Melzi and Villa Monastero are the greatest attractions on the lake. You can end the visit of Como with a visit to the neoclassical Villa Olmo and the old town walls with its grandiosity. Next stop is Bellagio with the full brilliance and aristocratic smell that makes him “The Pearl of The Lake”. After some free time and lunch break, you can continue your trip aboard a boat, through the glamorous town of Varenna. The architectural heritage, the fortress surrounded by an olive grove and tiered gardens makes Varenna one of the typical and quiet towns of the lake. Excited two -hour cruise trip that will give you a complete refreshment and makes you enjoy in a marvelous nature to the precious lake. 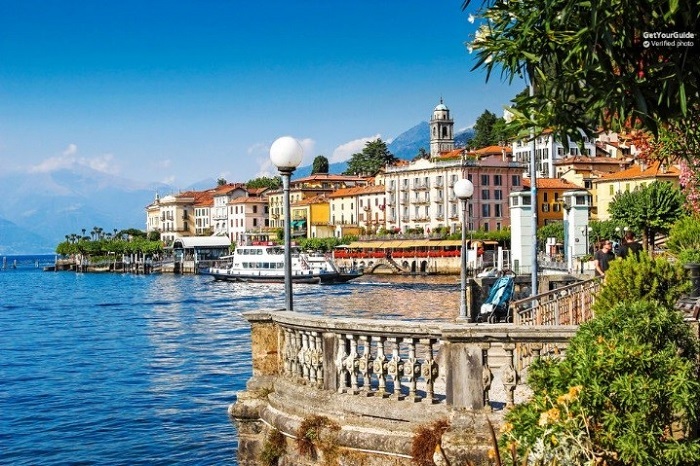 You will spend time with a professional guide who would bring you over the whole history of Lake Como and the small enchanting village of Bellagio. Bellagio is a small village but possesses majestic architectural structures old with centuries. Enjoy shopping in luxury boutiques and the Italian coffee and gelato while visiting Bellagio. The winter trip offers you a panoramic train ride to the Brunate village. How close you reach to the shore you can see the exotic villas and Italian and English gardens that offers you some unique plant in this area. Take a deep breath before you take the tour. You definitely need to allow yourself to enjoy the full beauty of this tour. 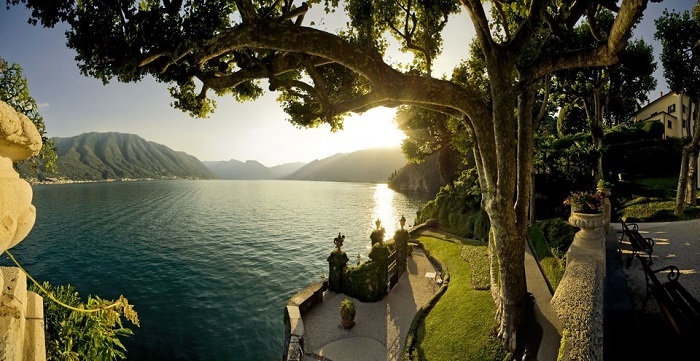 Calm your mind, and find your inner peace as you are visiting the beautiful landscapes of Switzerland and Italy. A full one-day boat trip will take you through landscaping Alps. This is your best chance to enjoy in three different historical towns on the Lake Como, Bellagio, and Lugano, where you can also see the luxurious villas of the celebrities. Your first stop is the city of Como where you will take a cruise on the stunning lake and enjoy the 2-hours cruise. This is a destination where a famous Hollywood stars owns luxurious villas or just take it for a holiday rest. Once you come in Bellagio you will enjoy the charm of the city and you will continue to Switzerland to explore the fabulous city of Lugano and taste the original Swiss chocolate. The cool breeze, enchanting water of the lake and landscaping nature gives a full enjoy on the tour. You can experience historical architecture and magnificent gardens as the main structures in the town of Como. The ancient walls of Villa Olmo, astonishing cathedrals and paving stone lanes would make your enjoy complete, no matter the fact that it can be cold and breezy in this time of the year. The cathedrals and historical structures are the soul of the town. Here you can enjoy the smell of the magnificient gardens full with attractive and rare flowers. Next stop is the pearl of the lake, the small village of Bellagio, where your guide will show you the most attractive monumental builds. On the way to Bellagio you will explore the most interesting points that you can reach from the shore. Relaxing cruise that will take through the lake just after sunrise. Near to St. Moritz, you can enjoy the majestic landscapes of Chiavenna and Bregaglia. 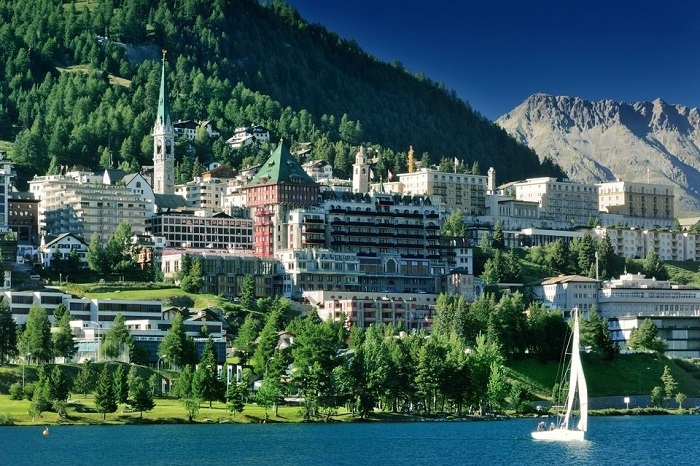 During the stay at St. Moritz, you can walk through the international boutiques or just stop for a hot chocolate in some of the restaurants there. You can also have a nice walk longway the lake and enjoy the fresh air from the calmly nature. In the afternoon you get on board The Bernina express red train and enjoy in 2 and a half hours ride through breathtaking landscapes made of glaciers and lakes. The Lake was named according to the city close to the lake, which is known for its amazing architectural construction. Consider to schedule a visit to the wonderful cathedral Sant. Abbondio and The Basilica di San Fedele and also the gardens of the neoclassical Villa Olmo. All the villas and constructions are old with centuries and are a mix of Gothic and Renaissance styles. Varenna is a picturesque village with a plenty of natural beauty and so many histories. The church of St. Giorgio, Villa Monastero villa Cipresii and Castello di Vezio are some of the best few things you can visit over there. Bellagio might be a small village on the lake, but the location in the middle of the lake makes it the pearl of the lake”. You can take a walk through the lanes of the city where you can shop or eat at the local restaurants. Don`t forget to visit the Basilica di San Giacomo, which is a Romanesque church a centuries ago. Como gives you the rare opportunity to enjoy the nature, and also go skiing. A boat trip on Lake Como is one of the best ways to experience the luxury and treasure of the landscape. You have two options. You can get a private boat tour, which is a bit more expensive, or go for a public tour with a ferry. Both options provide an insight of Lake Como like never before. The famous director has the most recognizable property near Lake Como, his Villa Balbianelo. You can notice that the villa featured in several Hollywood movies and is surrounded by huge gardens. Studio Bellini is the name that the English singer gave to his villa. Bellamy lived here with his Italian girlfriend for five years, but after they break- up the property came in the market sale. In the heart of Lake Como, the famous Hollywood star George Clooney owns the Villa Oleandra. The villa is so popular, that is used in a scene for the movie Oceans 12. IlPalagio is the name of the villa owned by the popular pop–singer Sting. Located in Tuscany, this villa has amazing gardens and swimming pool. But if you know somebody who would like to have a wedding of the dreams, then you should know that Sting is lending the property for rent. Brad Pitt and his ex-wife Angelina Jolie owns the spectacular villa in the Lake Como. The villa includes 18 hectares of land, two swimming pools, a gym, a stable and vineyard.